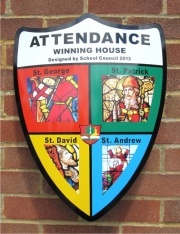 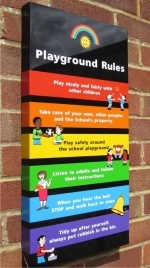 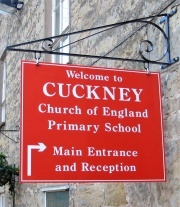 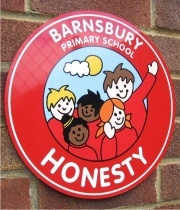 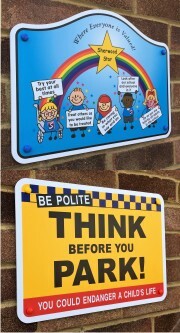 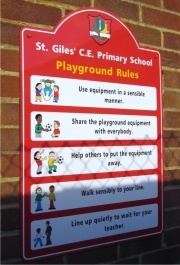 Wall Mounted School Signs: We offer a wide range of School Signs that can be mounted either internally or externally onto walls or other suitable flat surfaces. 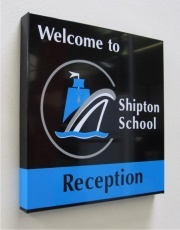 It can be a flat plate sign or one of our stylish Box Tray signs whatever you require we offer our Free No Obligation Design and quotation service. 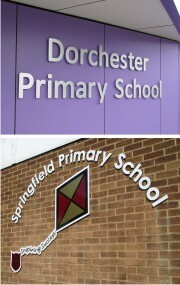 Simply send us details of what you require and our team of designers will work with you to produce a colour proof for your consideration. 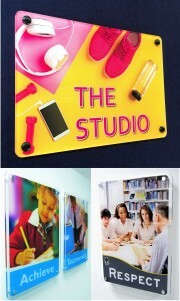 Using the latest CNC router systems we can cut virtually any size and shape to suit your particular requirements. 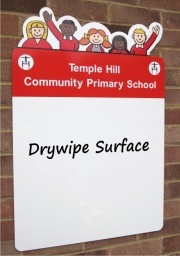 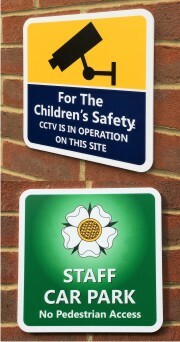 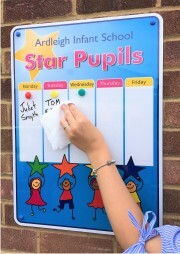 If you need new school signs be it a simple door sign through to the rebranding your entire site we have a wide range of school signs to suit all locations. 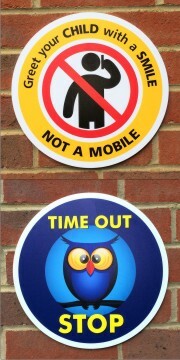 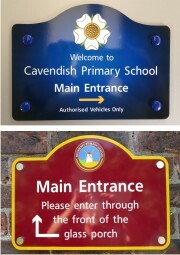 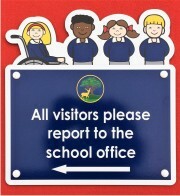 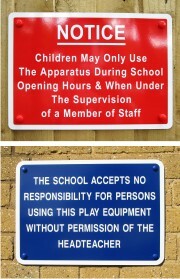 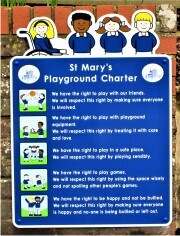 We have also produced many Welsh language school signs, simply send us the text and we will do the rest. 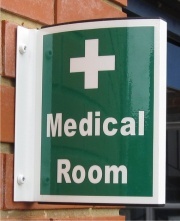 If you cannot find what you are looking for then contact us and we will do our very best to help.